Internet Profiling and Social Media InvestigationsSherlock Investigations Inc. The internet, through various social media platforms, search engines and the deep web is a powerful tool in any investigator’s arsenal. Social Media sites like Facebook, Twitter and Instagram serve as databases that provide equal, or greater information about a specific target than even some of the most advanced pieces of investigative software available to investigators and law enforcement. At Sherlock Investigations, we don’t dabble in internet profiling and social media investigations, we are experts on the leading edge of leveraging the internet for information. Exploring social media sites, using Boolean logic searches and scouring the deep web for targeted information is an art form and we are Picasso. Every good investigator has access to powerful databases that are not available to the general public. These resources are largely populated with otherwise “restricted access” information such as home addresses, dates of birth, vehicle registration information and telephone numbers. They are also push button solutions that aid an investigator along the way and contain mostly factual information regarding a target’s identity, assets and personal information. The Internet and all of the social media sites that go with it, are far less cut and dry and require a dedicated methodology to truly harness what information is available. 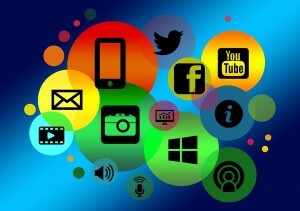 Social media sites contain information in a wide variety of locations, many of which are unclear before searching begins. This data often fills in the blanks as to a target’s relationships, what they look like, their thoughts, feelings and events in their lives. The reason for this is because social media is frequently created by the target themselves. We define “Internet Profiling” as; Collecting and analyzing a person’s Internet footprint to give the investigator and/or client a broad insight into the person’s activities, background and relevant characteristics. Taking this one step further, we break down the various terms used to describe this type of investigation. We identify the term “Social Media Investigation” as referring to locating and documenting sources of data found within profiles primarily used for social or professional networking. The most common examples are Facebook, Twitter, LinkedIn and Instagram. The term “Social Media Investigation” is often used interchangeably with the terms “Internet Investigation” and “Internet Profile”. While some may encompass both social media and various deep-web internet searches in the same context, they differ greatly in both scope and investigative approach. Social Media profiles in themselves are defined, limited in search options, and in most cases, contain self-published data. Generally, there are only a few defined ways to search for profiles. Most of these sites have built in search engines for profiles based on a searchable index of known information; name, geographic location, phone number, and email address among them. A true internet profile investigation encompasses both social media and the deep web and is nearly endless in scope. At Sherlock, we use proprietary search methods to achieve both consistent and thorough results while conducting searches across all platforms of social media and the deep web.